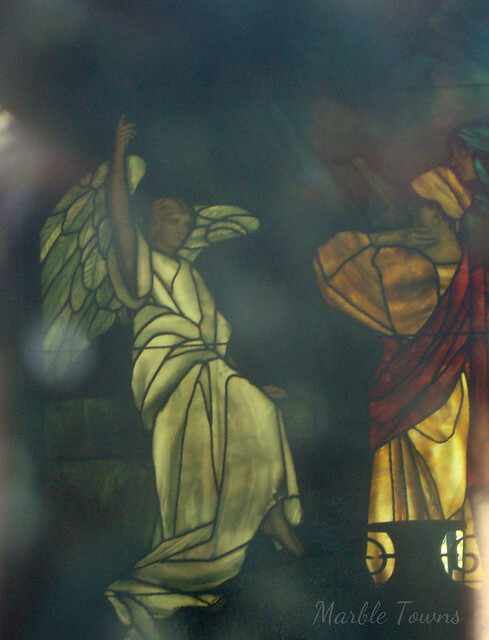 My photos today come from the Glendale Cemetery in LeClaire, Iowa. I also found Rudolph mentioned in a board post on Ancestry. 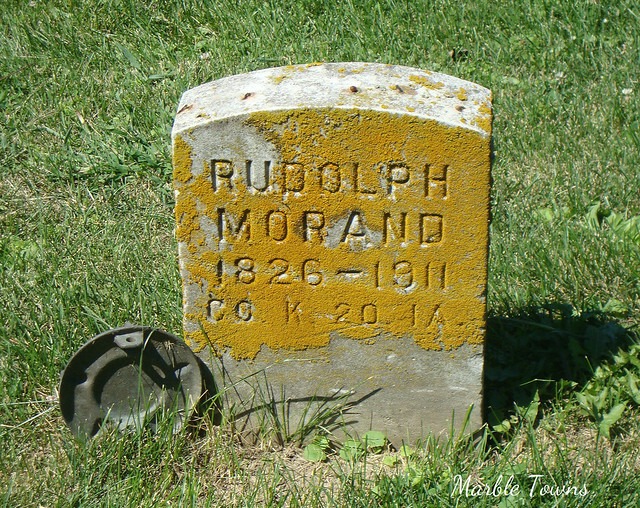 This person wrote that “Rudolph was the son of Franz Joseph Morant and Barbara Morant, Switzerland. (Source: Register of Marriages, Scott Co., IA of Rudolph Morant to Margaretha Abraham, Feb. 19, 1883. This source lists Rudolph’s age as 54, and this as third marriage.) Year of immigration 1852 (source: 1900 census, Scott Co. IA). 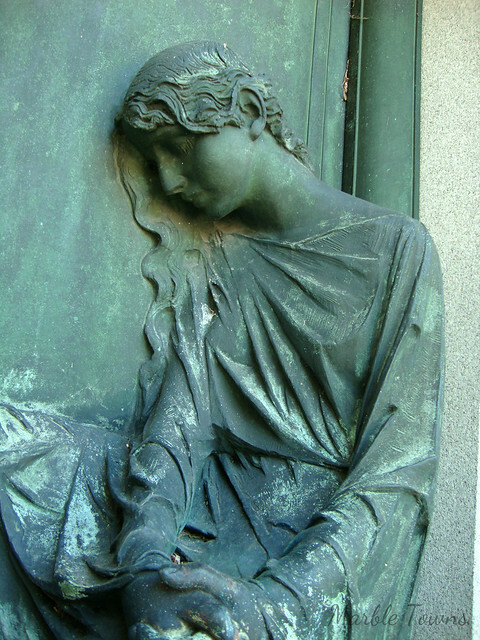 His third wife, Margaretha, is also buried in this cemetery. I had been wondering about the differences in spelling, so I’m grateful for Bob’s notes. 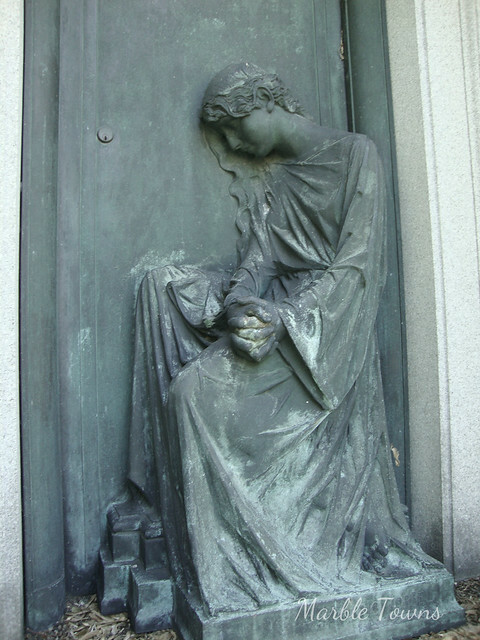 I visited Rosehill Cemetery this Summer, and while I didn’t have much time to spend there, I was able to take a number of photos. 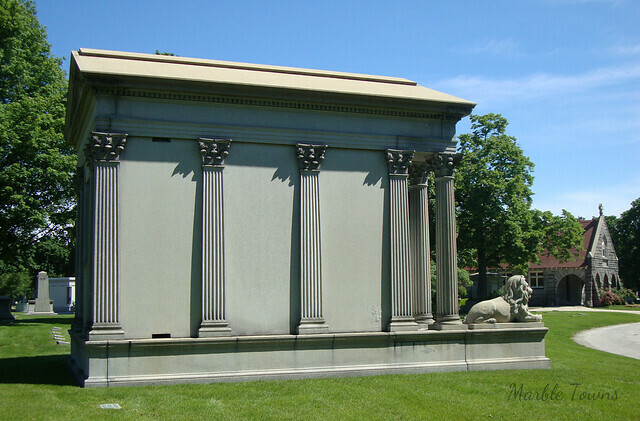 This mausoleum for Louis M. Stumer caught my eye because while the architecture is simple, the figure is simply beautiful. 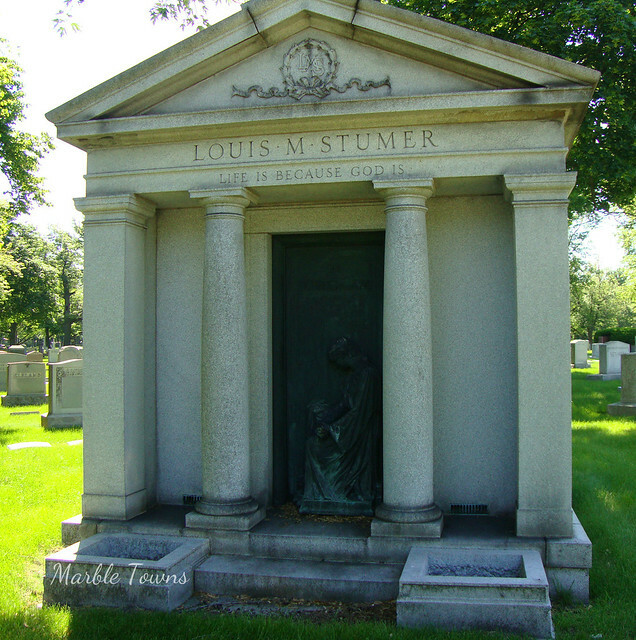 So who was Louis Stumer? Well, thank goodness for Google — because I found a great article about him, written by his great-granddaughter. 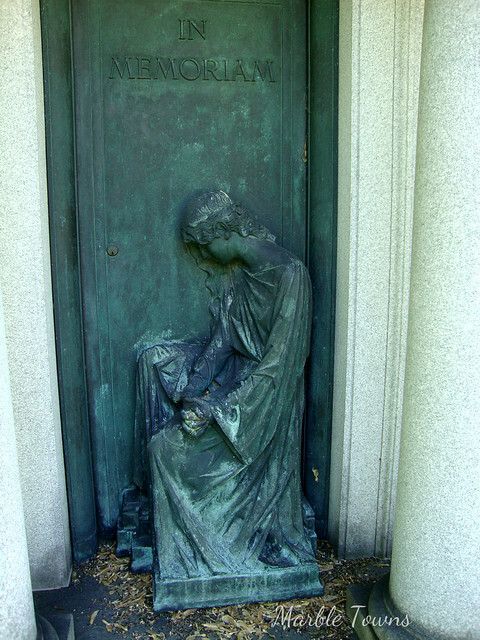 She found out that he had published three literary magazines, The Red Book, The Blue Book and The Green Book, and also owned or co-owned a store, Emporium World Millinery, in Chicago. Her article is nicely written, and really interesting. I also found references to him in proceedings of the Chicago City council, which granted permission to him, along with his partners, Benjamin Rosenthal and Louis Eckstein to build a store front on State Street in Chicago in February of 1901. But then I found myself wondering who Adam Schaaf was. “Adam Schaaf established the Adam Schaaf Piano Company of Chicago in 1873. They were known for building higher grade, good quality pianos. 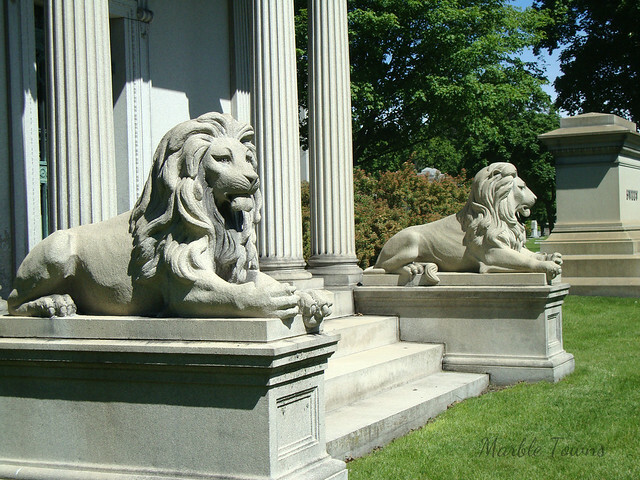 By the turn-of-the-century, the company was controlled by sons Harry and Fred Schaaf. The firm was so successful that in the 1920’s a new state-of-the-art factory was built at Fillmore Street, Chicago. Adam Schaaf produced a handful of brand names including Claritone and Orpheus, each offered as an affordable alternative to the costlier Adam Schaaf brand. Sadly, Schaaf’s huge success did not carry them through the Great Depression, and the firm was closed sometime in the early 1930s.” (courtesy of antiquepianoshop.com — which also has a digitized copy of a Schaaf catalog). The home of the famous Adam Schaaf grand, upright and player pianos and reproducing pianos were built at their imposing, and beautiful six story building at 319-321 South Wabash Avenue, Chicago. 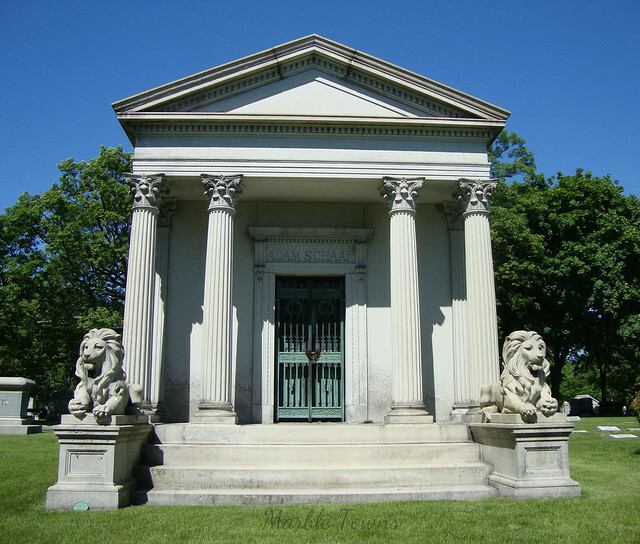 In addition to a factory at 1020 Central Park Avenue, Chicago, made the Adam Schaaf institution one of the best equipped in the world. Adam Schaaf instruments continue to advance time tested by thousands of satisfied, ever enthusiastic owners and customers. To make still better the best Adam Schaaf piano has been the aim and the inspiration of the experienced workers in the Adam Schaaf factory as well as the ambition of the gentlemen who direct the company’s destinies. How well these aims and ambitions have succeeded is told in the fact that the three fold output has not kept pace with the steadily increasing demand. These instruments are the product of a house of the highest responsibility and unlimited credit. Adam Schaaf Reproducing Pianos in Grands and Uprights are very distinguished. 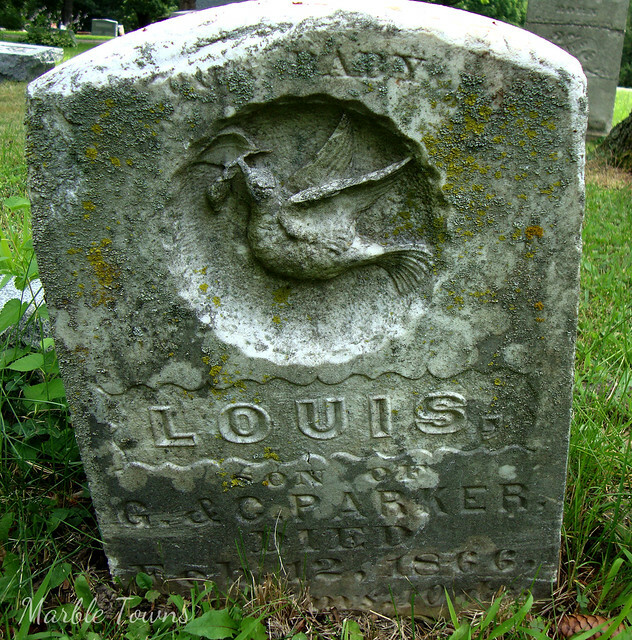 This marker is from the Tolman Cemetery in the Rockland, Maine area. It’s in wonderful condition, and a great example of a curtain or veil, which symbolizes the passage from one type of existence to another. 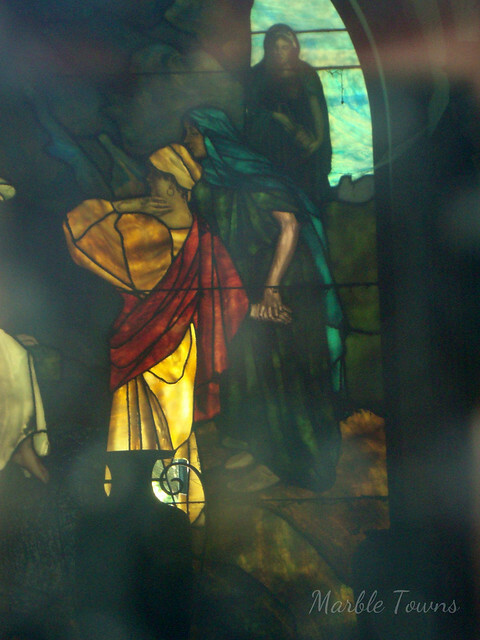 I was especially taken with how intricate the detail is in the background. 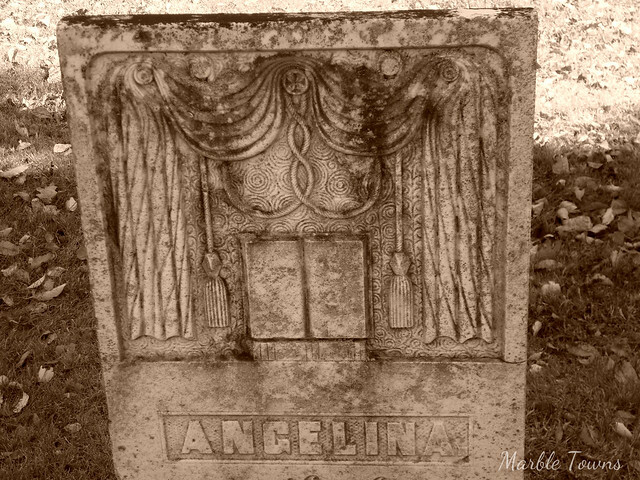 I’m grateful to Find A Grave, which provides the information that I didn’t capture in my photo — Angelina was born on March 10, 1818, and died on January 11, 1840. She was the daughter of Captain John and Mary Vose, and married John Kellar on April 1, 1838. Welcome to week #29 of Taphophile Tragics on this blog! And thanks for your patience while I took a bit of time off —- my photographs are now organized and labeled, which will make it much, much easier for me to find what I want to do my posts. 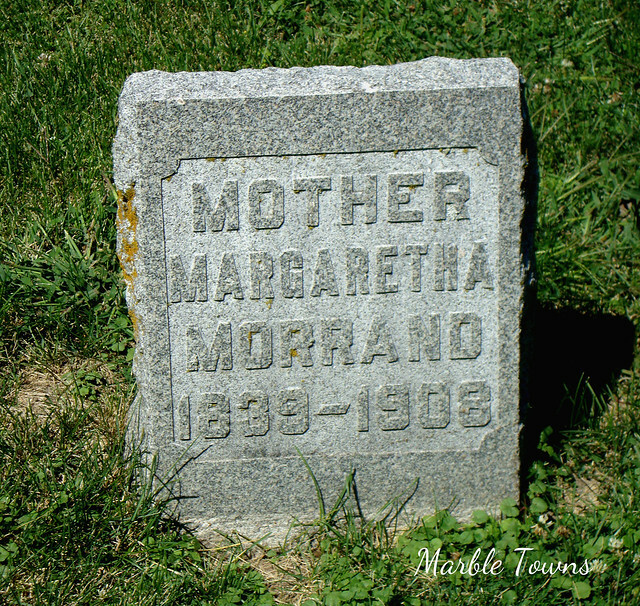 My photo this week comes from the Fairview Cemetery in LeClaire, Iowa. My husband and I decided to do a day trip to a place we’ve never been to, and since we don’t live too far from Iowa, we thought we’d go there. LeClaire, Iowa is about 2 hours from my home (and really a pretty nice drive). If you watch the show, American Pickers, you know about LeClaire — and admittedly, yes, we do watch and enjoy the show. So, LeClaire was on our list of places to visit at some point. 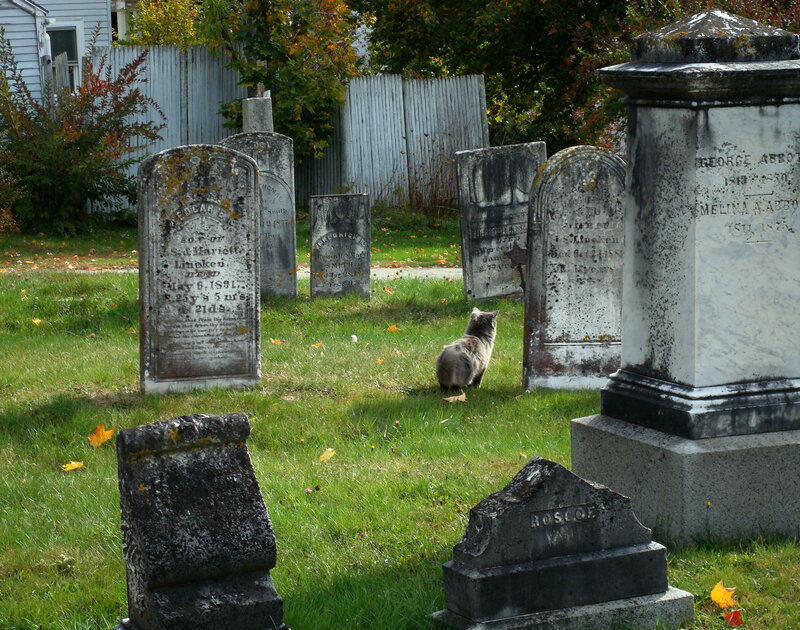 However, my husband made a great discovery when he started looking for information on cemeteries in LeClaire — a website called LeClaireCemeteries.com. 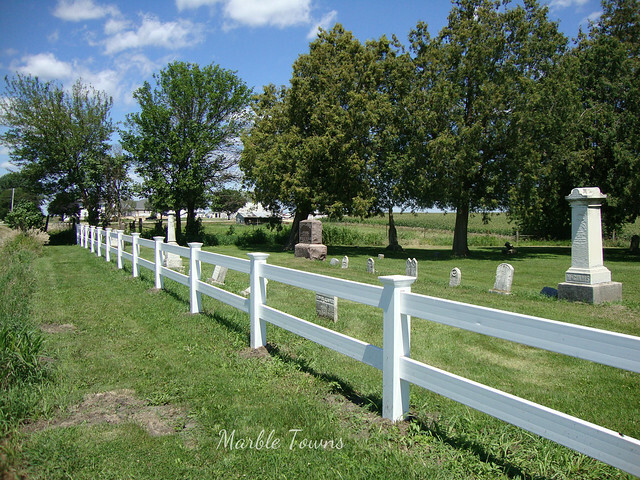 Bob Jones has spent a great deal of time photographing and indexing the cemeteries in and around LeClaire, and when we read this post of his, we knew we needed to see LeClaire. Not only does he have a wealth of information about the cemeteries, but he also had some good tips for taking photos (which means I’ll be carrying a spray bottle of water in my car from now on). I would encourage you to visit his website, because he has some great posts there. My husband and I are very grateful to him for all of his hard work, and I’m especially grateful for all of the cataloging and indexing he did, because it allowed me to figure out who was who on some of the photos I took. I’m taking a few days off — I decided to tackle the project of naming my oodles of older photos (which is why now, I do this right away, instead of waiting). Right now, I’m working my way through my 2010 Maine trip — and since I didn’t carefully take notes on which cemetery, where, etc., it’s taking a lot of time (but thank you, Find-a-Grave and my book, Maine’s Coastal Cemeteries)!